Ignite 25 videos are up! We had a hell of a show last week. Big thanks to Bootstrapper Studios for getting these ready for online in record time, and to all our speakers, of course, for absolutely killing it. Author moniguzmanPosted on October 13, 2014 March 19, 2018 Categories Event, Recap, VideosLeave a comment on Ignite 25 videos are up! Ignite 24 Videos Are Up! Weddings? Norwegian trolls? Lonely bicycles? Ignite 24 had it all… and now you can too! The videos have been posted on our Youtube account, and you can check out the entire playlist for a view of all the talks. The next Ignite is Tuesday, October 7th. See you at Town Hall! Author Zachary CohnPosted on June 16, 2014 March 19, 2018 Categories Event, RecapLeave a comment on Ignite 24 Videos Are Up! 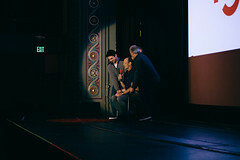 We have finally posted the videos from the last Ignite, held at Fremont Outdoor Cinemas in August. We had a fantastic crop of talks, including The Geek Diet, Being a Tech Entrepreneur in Baghdad, and How Video Games are Like Kissing. Check out the entire playlist for a view of all the talks. The next Ignite is Wednesday, November 20th and today is the last day to submit a talk. Get yours in tonight before the deadline! We’ve been working hard over the last few months to get the most recent Ignite Seattle videos up on YouTube. You can see videos from both Ignite 17 and Ignite 18 over at our YouTube channel. 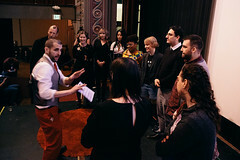 In the coming weeks, as we get closer to Ignite Seattle 19 (Feb. 20th @ Town Hall), we’ll be posting some of the highlights from the last two events. Also, don’t forget to submit your talk ideas. The submission deadline is early January, so get your ideas in now. Happy Holidays from everyone at Ignite Seattle! Thank you for Ignite Seattle 18! Thank you to everyone that showed up for Ignite Seattle 18 – the volunteers, the speakers, and of course the audience. We were all extremely proud of the event, and feel it is one of the best Ignites in recent memory. Also, of course, thank you to Monica Guzman for being a wonderful MC and to Town Hall for hosting us. 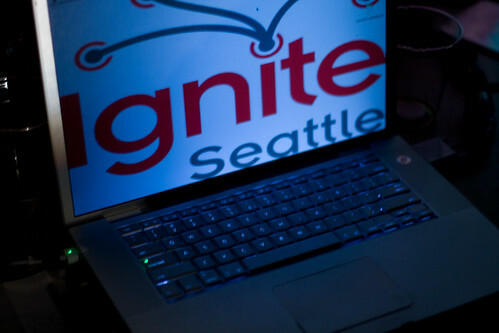 We are all looking forward to the next Ignite Seattle on February 20th. Author jmartensteinPosted on November 10, 2012 March 19, 2018 Categories Event, RecapLeave a comment on Thank you for Ignite Seattle 18! Despite temperatures rising a little higher than we would have liked, Ignite Seattle 7 was certainly our biggest and may have been the best Ignite Seattle yet. Attendance-wise, we broke a record, with just a hair under 700 people in attendance. Additionally, we had a bunch of folks watching our first ever live video stream (courtesy of Bryan Zug at Lilipip). Thank you to everyone who spoke at Ignite 7. We couldn’t have Ignite without fantastic speakers and we are privileged to have funny, intelligent (and brief) speakers who are willing to entertain and inform us. Finally, thank you to the audience who brought their friends, told their relatives and snuck out of the house on a Monday night just to join us. Our speakers would be talking to themselves without you 🙂 Seriously though, the best thing about Ignite is that YOU could be one of our next speakers. We’ll be back in the fall for the next Ignite event. We’ll keep you posted on the blog and on Twitter as to the exact date. Until then, we’ll be posting videos of last night’s event to fill the void.